95 mins. Rated R for intense, graphic horror violence/gore, language and alcohol/smoking used. I’ve mentioned my love for Stephen King several times. One of my favorite tales of his is Cycle of the Werewolf, a short novella with illustrations by Bernie Wrightson. I really enjoyed it. 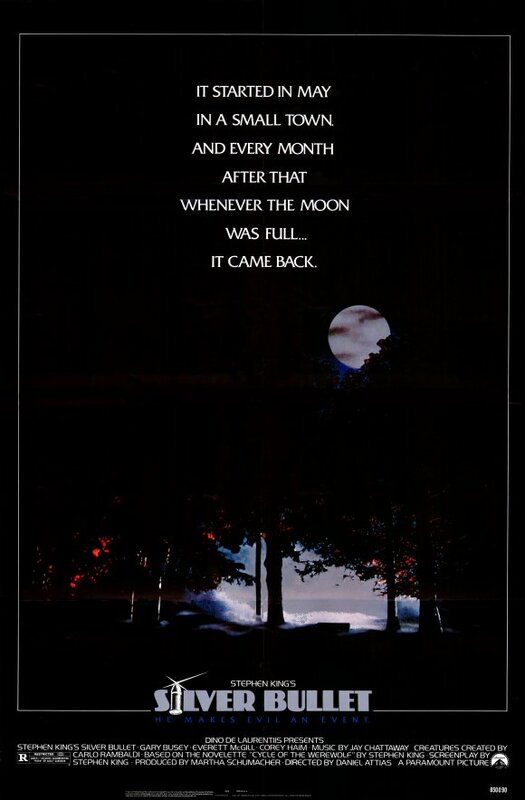 But the adaptation, changed to Silver Bullet, doesn’t really hold a candle to it. The characters in it have that Stephen King flair to them, but the film doesn’t really do it what it should do. Wheelchair-bound Marty Coslaw (Corey Haim, The Lost Boys, License to Drive) is seeing the people of Tarker’s Mills being picked off one by one by a mysterious killer and just wants to solve it. 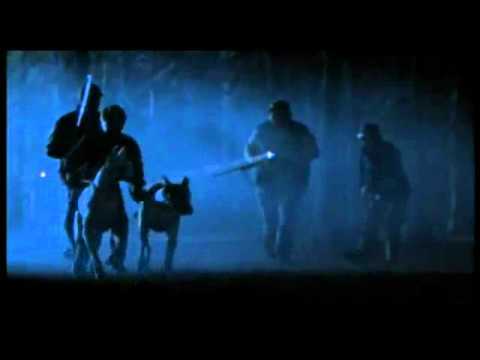 His uncle Red (Gary Busey, Lethal Weapon, Entourage) only wants to be a presence in his nephew’s life but doesn’t believe Marty’s belief that a werewolf is involved. Marty and his sister must now set aside their differences to stop the lethal creature from killing again. I had a lot of fun watching Silver Bullet. It celebrates that cheese factor that makes it so much fun. The performances aren’t crazy good but they service the tone of the screenplay. Unfortunately director Daniel Attias (TV’s It’s Always Sunny in Philadelphia) can’t seem to figure out the tone for his film and that derails it. I like King’s script but I don’t think it attaches to this completed work very well. The werewolf was probably the biggest detractor. This film has a tendency to forget that less is more. It should’ve taken a Jaws approach which would have helped it immensely. When you see too much, it loses realism. Silver Bullet is riddled with problems from start to finish. I enjoyed watching the 1980s campy film, but I can why others wouldn’t. It has a whole lot of trouble with it, though. Definitely in my top 20…unreal film! !